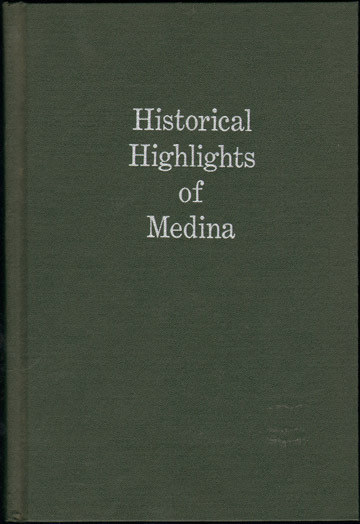 Compiled by Students of the Class of 1966, Medina Senior High School, Eleanor Iler Schapiro, editor. A well researched history covering the period from the first settlement to 1966. Includes pioneer settlers, businesses, schools, churches, and historical buildings. Published 1966 by Alfred Meyers Lithographers, Inc.
Cover and inside pages are very nice and clean.